Manama, Feb. 6 : Information Affairs Minister and Board of Trustees Chairman of the Bahrain Institute for Political Development (BIPD), Ali bin Mohammed Al-Romaihi, received here today Ali Sabkar, marking his election as Chairman of the Board of Directors of the international Social Media Club during the club’s celebrations of its 10th anniversary in California, USA. 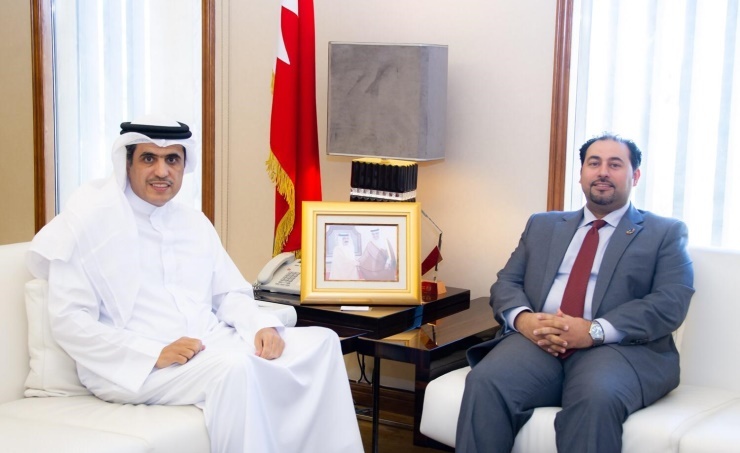 The minister expressed congratulations to Ali Sabkar for being the first non-American to be elected as a board chairman of the international Social Media Club, wishing him further success. Al-Romaihi expressed pride in the contributions of Bahraini competencies to honouring the kingdom at regional and international media gatherings. Hey Buddy!, I found this information for you: "Information Minister receives Social Media Club’s Global Chairman". Here is the website link: http://www.mia.gov.bh/2019/02/06/information-minister-receives-social-media-clubs-global-chairman/?lang=en. Thank you.